Most beamforming techniques are reliant on signal manipulation from a uniform linear array of microphones. 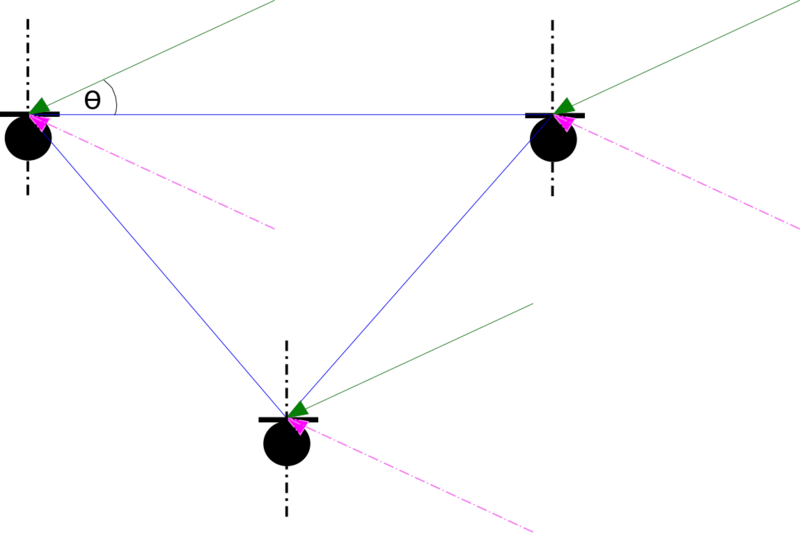 collinear microphones can only estimate angle of arrivals and cannot deal with the other half plane of . The lower half plane is aliased to the upper half plane. Three non-collinear microphone array is sufficient to deal with this problem in D.
where is the channel impulse response, denotes convolution, is the delay at microphone , is the source signal and is a zero mean ergodic process. The setup is as shown in Figure 1. The ‘s will be estimated using pairwise correlations. We use either of the two equations above based on the signs and relative magnitudes of . VOCAL Technologies offers custom designed AoA estimation solutions for beamforming with a robust voice activity detector, acoustic echo cancellation and noise suppression. Our custom implementations of such systems are meant to deliver optimum performance for your specific beamforming task. Contact us today to discuss your solution!